SFG-28 has accomplished the roundness and flatness of 0.1μm. 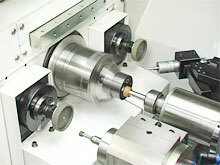 It is equipped with 2 grindstone spindles of 30,000 rpm. 80,000 rpm and 2 truing units as standard. 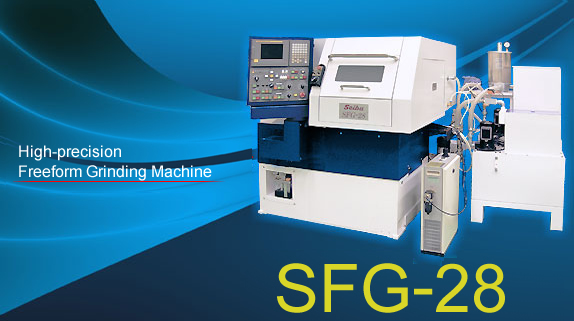 SFG-28 system enables a succession of freeform grinding of radius, taper, and straight shape of inside/outside diameter highly accurately using the grindstone. Grinding shape or dimension can be automatically measured by the measuring equipment and automatically compensated without unloading the workpiece from chuck. The least command increment of X,Z axes is 10nm (full closed control). 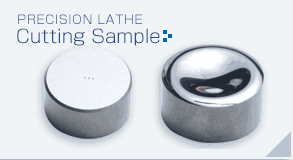 High-precision ceramic bearings assure high rigidity and high rpm precision for both work spindle and grindstone spindles. Temperature regulator is provided as standard, and special thermal control for slide, spindle or each necessary part has been employed, which ensures thermal stability.